Radisson Blu Golden Lane at 6pm the doors will open for the second sitting of the Aer Lingus Taste of America Roadshow. 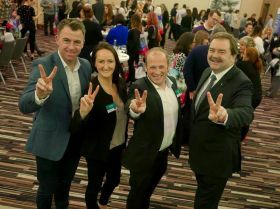 The only sitting you will be doing is when you make your way around to see all trade partners from all over the USA representing destinations, CVB’S and tourist boards who partner Aer Lingus on its Trans-Atlantic services from Ireland. There will be lots of prizes and spot prizes on the night so make sure you register upon receipt of your invitation from the Aer Lingus trade team. Here are the partners you will have the opportunity to meet on the night.